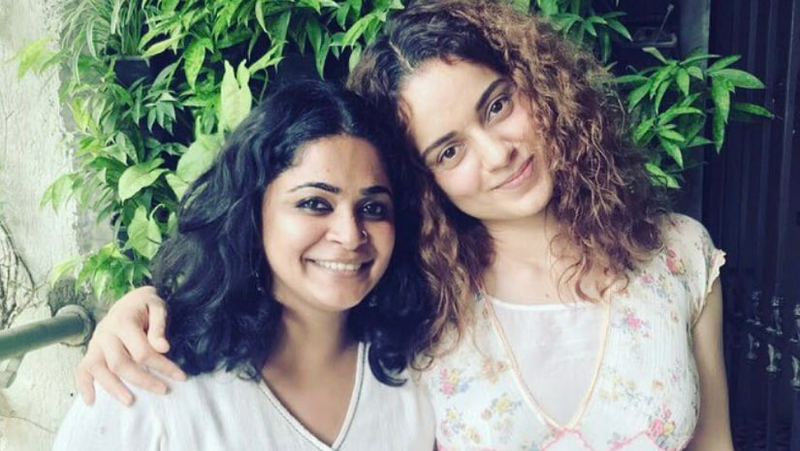 Ashwiny Iyer Tiwari's upcoming film Panga will feature Kangana Ranaut in the lead. Due to the actor's creative differences in the past with the teams of Simran and Manikarnika: The Queen of Jhansi, Tiwari has reportedly decided to take a precautionary measure. As per reports in Bollywood Hungama, Tiwari will make Kangana sign a no-interference contract to avoid any sort of misunderstanding during the filming of Panga. Various reports in the past stated that Ranaut was getting too involved with the filming process, often overstepping her required roles. A source close to the development said that the 31-year-old director and Kangana have till now, gotten along really well and that Tiwari was confident of the fact that the two would make a fabulous film. However, as repeated allegations against Kangana keep surfacing, which indicate her involvement with the directors' work, Tiwari was compelled to take this decision. Rangoon (helmed by Vishal Bhardwaj), Simran (directed by Hansal Mehta) and now Manikarnika: The Queen of Jhansi (directed by Krissh) have had such issues so far. Ashwiny is well known for her films that have a strong female lead. He previous works, Nil Battey Sannata and Bareilly Ki Barfi have been hailed for their strong feminist narratives. The director announced Panga through a tweet in August. Tiwari, on 7 September posted pictures of the Panga team eating lunch together. Tiwari also thanked Kangana for the "amazing afternoon". Panga features Kangana as a kabaddi champion. Scheduled to release in 2019, the film features Jassie Gill and Neena Gupta in pivotal roles. 2Game of Thrones season 8: Does 'Jenny's Song' reinforce Daenerys' visions about destruction of King's Landing?